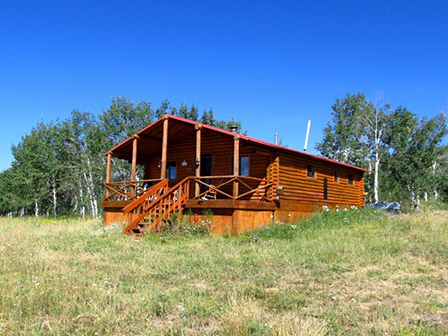 ← SOLD ~ Elk Ridge Cabin!!! The Cabin at Stemp Springs has reduced its price by $125,000 to $300,000. This beautiful 2 bed, 1 bath log cabin sitting on 40 acres, borders the national forest, has spectacular views, solar power, 3 wells and septic. To see more about this beautiful mountain property CLICK HERE.